Why Does the Chicken Coop Move with the Sheep? So you want to know why they move the chicken coop with the roaming sheep herd ? Well it’s not for some goober reason like to get to the other side of the road. No, not these chickens. The chickens eat the bugs that hurt sheep hooves. And there’s the llama that protects the sheep flock from coyotes. Yup, a llama. I guess even coyotes don’t like to be spit on. The llama does have backup, just in case: a portable fence. 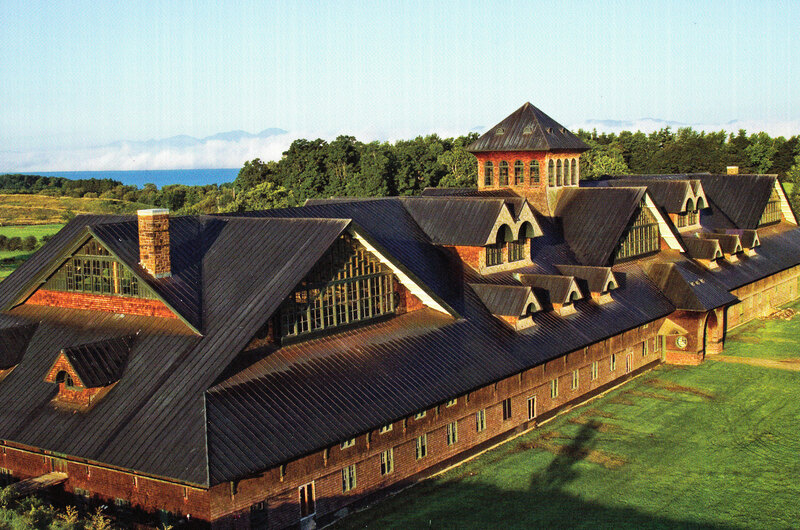 A breeding barn that may be nicer than my home? Check. 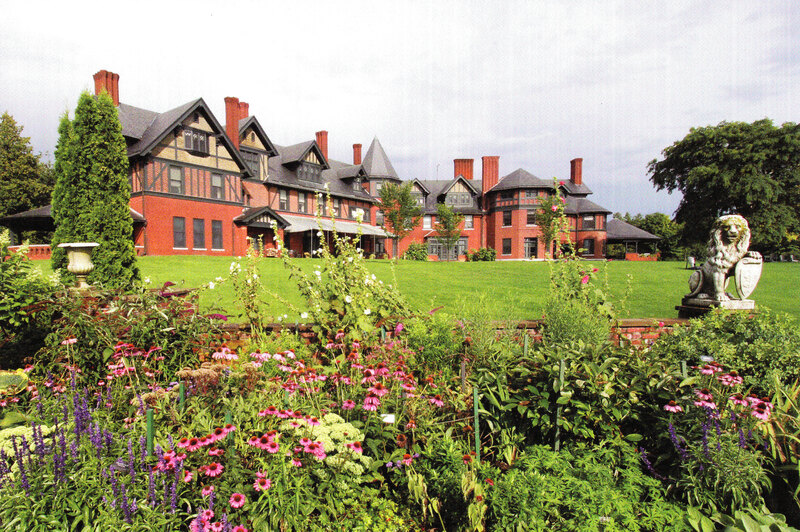 Landscape arranged by Frederick Law Olmstead? Check. Yeah, that dude who designed Central Park. 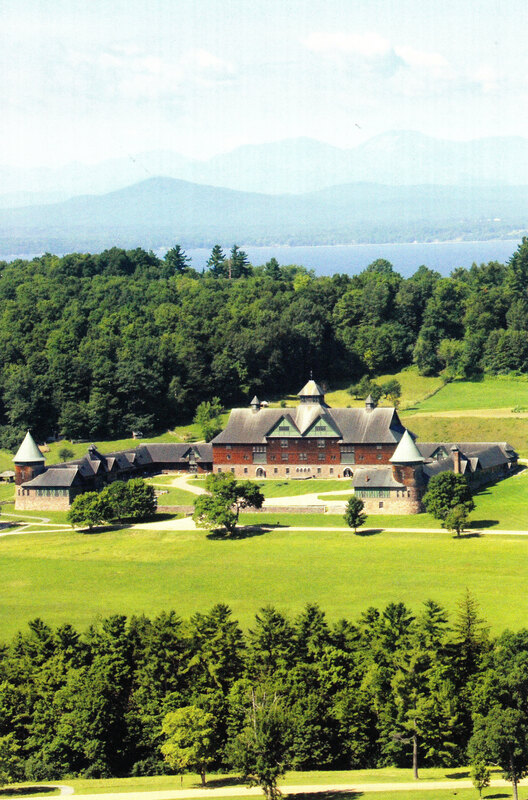 It’s still a working farm, and dedicated to sustainability education. The camps they have for children made me wish I was a pre-teen again so I could have gone somewhere like this instead of playing kickball. But that’s the only reason to wish to be a pre-teen. Agreed? 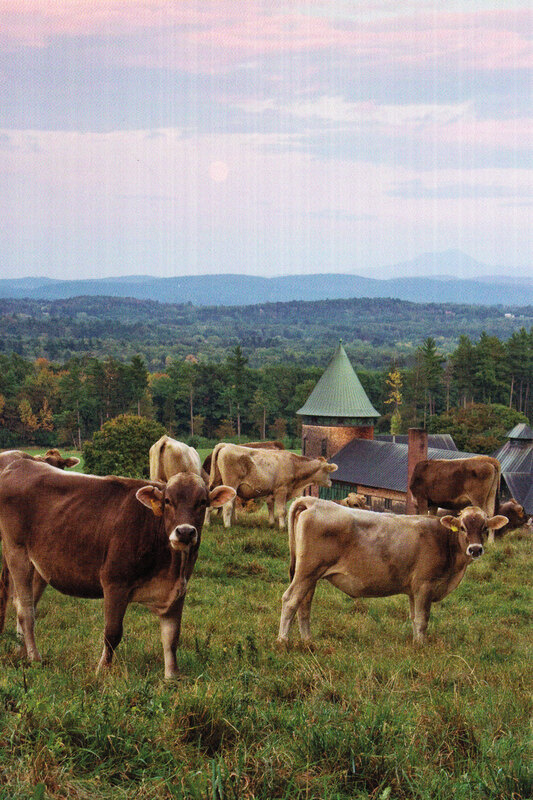 The Brown Swiss cows who live here are productive for 6-7 years. I wonder how long people have/will consider me productive…? The herd is moved every 24 hours to sustain the pasture. And a fresh pasture keeps the cows happy. They’re also happy after the twice-daily milkings: 4:30 am and 3:30 pm. This milk in turn makes the (famous?) 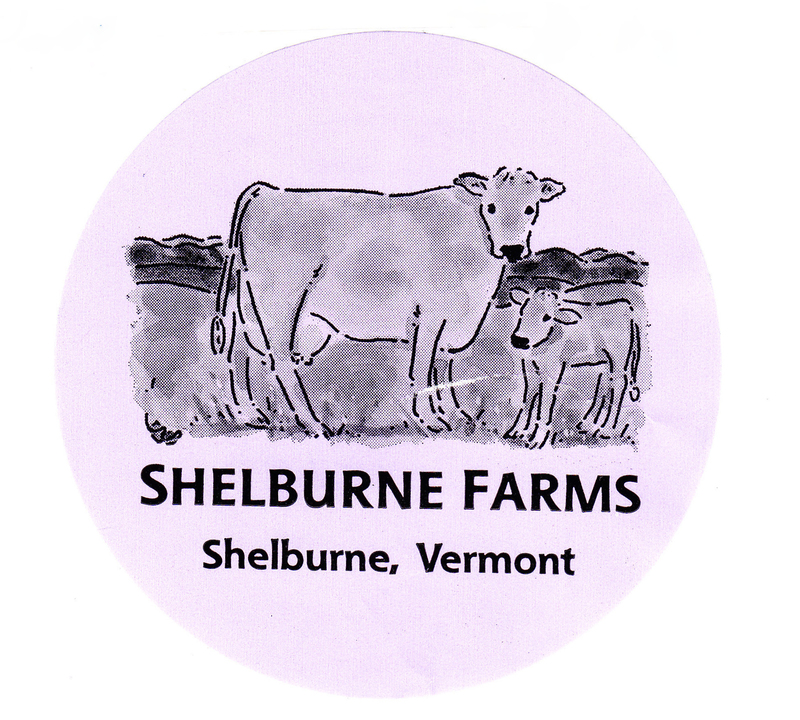 Shelburne Farms cheese. 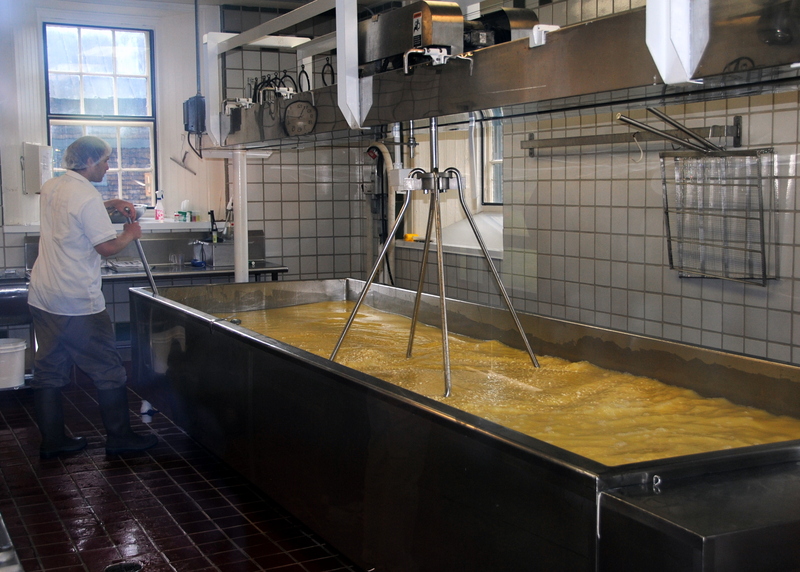 5,000 pounds of milk go into making 530 pounds of cheese. Do you think the cows know that ratio and that’s why they’re productive for only a few years? I would be exhausted by those prospects. The cheese ages for six months up to three years. And the tasting at the end of the tour lasts about 3 minutes. Yummy!